Now we're in December, I find it somewhat more acceptable to talk about Christmas! Ideally I'd still like to ignore it for a couple more weeks but that would just be impractical... With that in mind, I've been having a think about Christmassy nail art, and have got together a few designs that I'm loving! Each image should click through to the orignal blog post and tutorial, where one was provided. Some of these are quite old now, and some of them are sadly from blogs which are no longer active - but even so, I think the ideas are lovely, and I'm sure you could work with them if there's one that catches your fancy!! 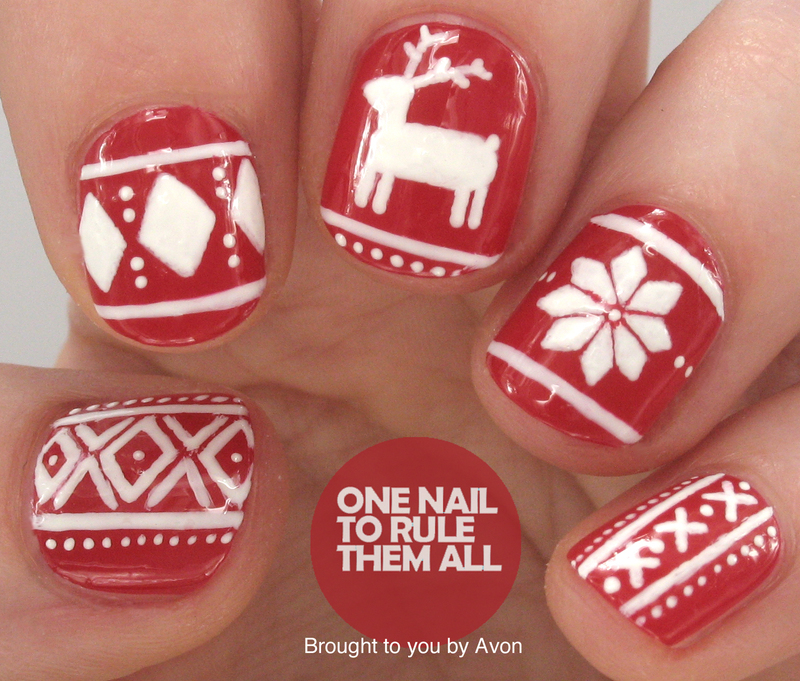 What could be more Christmassy than reindeer nail art - check out Rudolph's super-cute sparkly nose! Don't these gorgeous Fair Isle Nails just feel like a snuggly, cosy jumper for your fingertips!? And one of my own from a couple of years ago - a bit of a Christmassy mix-and-match with a robin, snowflake and Christmas tree designs. If you're after something a bit simpler but still striking and suitably festive, One Nail To Rule Them All's Christmas Polka Dots will be right up your street! Another design that shouldn't be too tricky to recreate is Brit Nails' Gold Glitter Stripes - super Christmassy colours, this design wouldn't be amiss on expensive wrapping paper, would it? I can imagine the Santa Suit Nail Art would be super popular if you have children - what better reminder to behave yourselves, as well!? 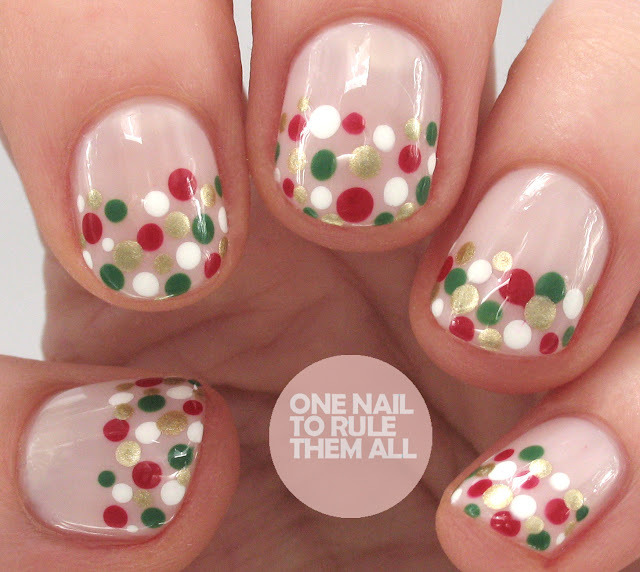 One more on the theme of polka dots; this Festive French Manicure from The Nail Network is so pretty. Casual Contrasts's Grinch Nail Art isn't something I'd dare try to recreate but if you've a steady hand, this could look amazing! 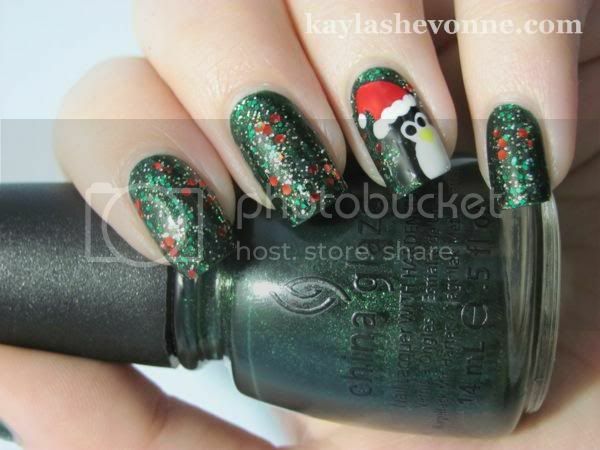 And how adorable is Nails by Kayla Shevonne's Penguin nail art? Again, one I can imagine little ones really loving. I love Casual Contrast's super-delicate Snowflake Nail art, doesn't it pop beautifully against that red background? Nails By Kayla Shevonne incorporated a gorgeous blue gradient into her Winter Wonderland nails. 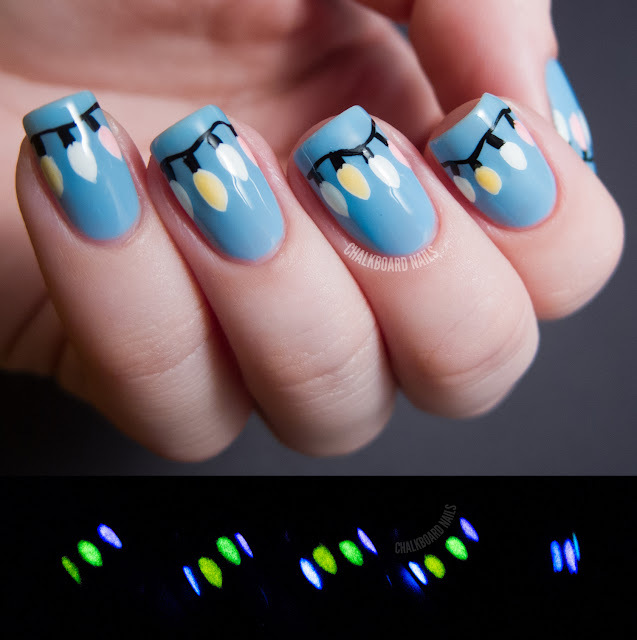 And how clever are Chalkboard Nails's Christmas Lights nails - they use glow-in-the-dark polish for the lights, so they actually light up in the dark!! 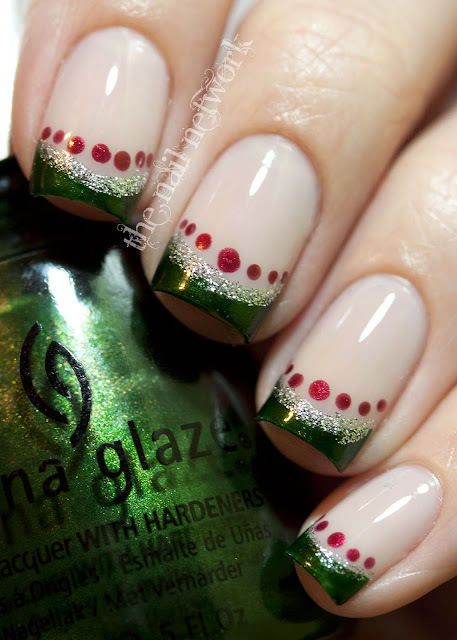 These super-cute holly nails with a candy cane border are sure to receive plenty of compliments! 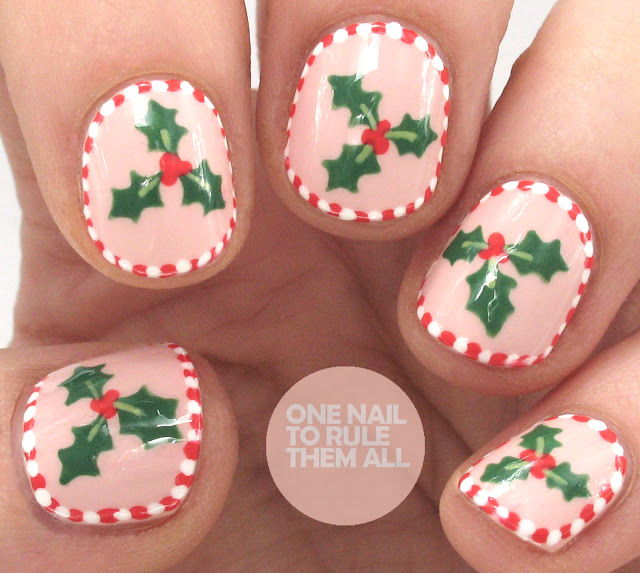 Something a bit more humourous - I loved Nails By Kayla Shevonne's 'When Santa Got Stuck Up The Chimney' nails way back in 2012 when she posted them and I still think they're super cute! 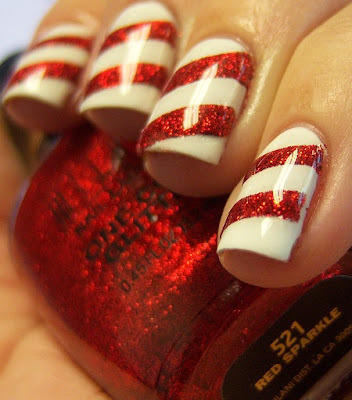 And finally, if you've got a sweet tooth you're sure to love these sparkly candycane nails by Chloe's Nails. Which is your favourite design? 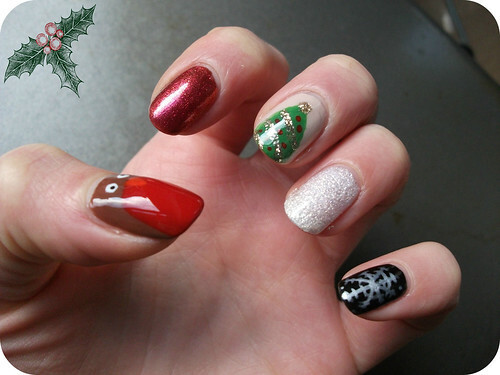 Will you be doing any Christmas nail art this year? Oh my goodness this is festive! It might mean a nail salon day at home with my daughters. Great post! I love these designs, but dont have the patience to do it. Wow all of these designs are amazing! I love the holly ones! I'm forever in awe of the amazing designs people can create, so detailed! These designs are gorgeous! My mum would love them too!